A brazilian delicacy for a good reason. Cultural chocolate, what more do you need? 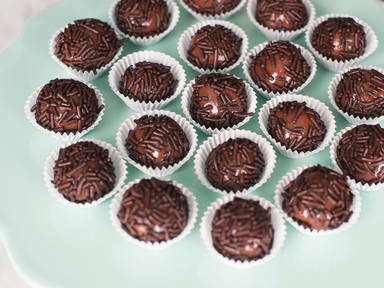 Get into the Olympic spirit with some of our deliciously chocolatey Brigadeiros. Ideal for sharing with friends, these Brazilian sweet treats are the perfect snack for when you’re watching the games. Who would have thought that condensed milk and cocoa could taste so great? Enjoy as truffles, or straight out of the pan with a spoon if you can’t wait that long… Happy cooking!